RIW Corporate and Real Estate Attorney Christopher Agostino’s recent article on suburban restaurant development was featured in the New England Real Estate Journal. Check out the full article. 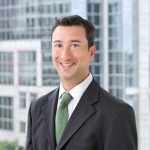 RIW’s Christopher Agostino to speak at REBA meeting on Wednesday, April 2, 2014 at noon. The meeting is for REBA members and will take place at Rackemann, Sawyer & Brewster, P.C. located at 160 Federal Street, 15th Floor, Boston. RIW Represents Lessee in Quincy 17,500sf Office Space Lease. Click here to read full article.